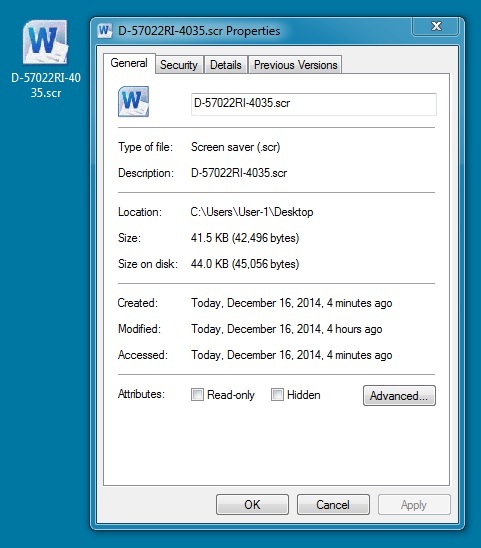 On 2014-12-16 from 12:09 to 13:20 UTC, I noticed a phishing wave of 12 emails with .cab attachments containing malware. 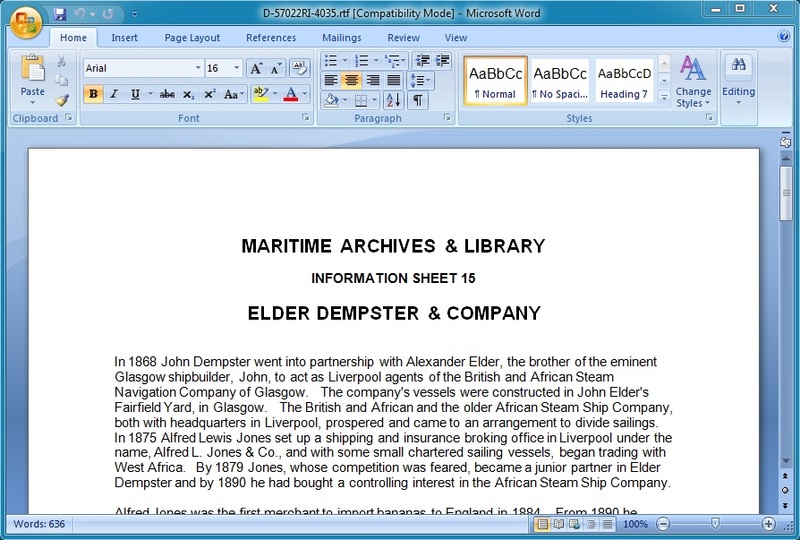 These had spoofed UK sending addresses, and they were sent to recipients in the UK. 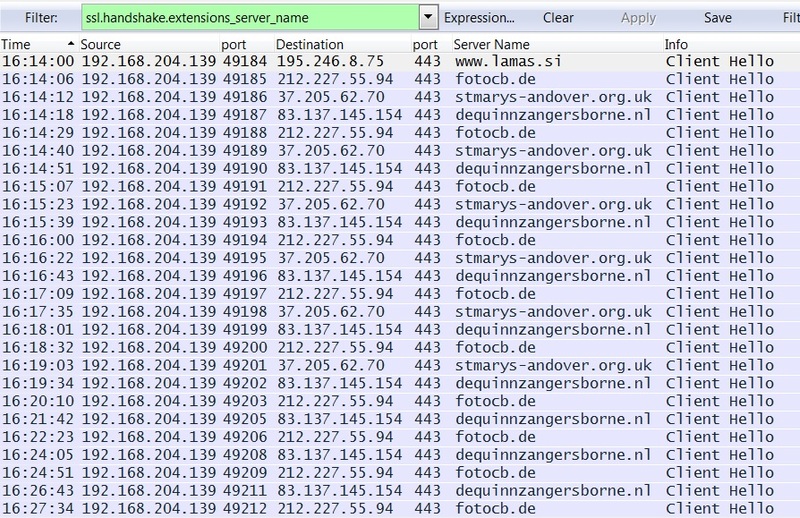 Various sending IP addresses for the messages indicate this was a botnet-based campaign. 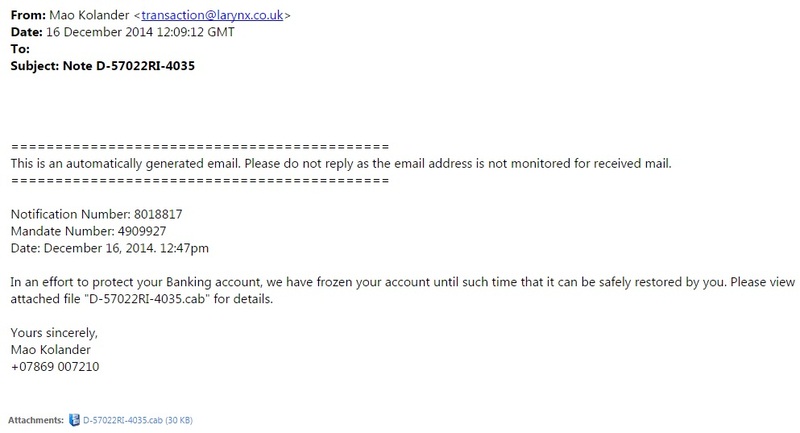 In an effort to protect your Banking account, we have frozen your account until such time that it can be safely restored by you. Please view attached file "D-57022RI-4035.cab" for details.